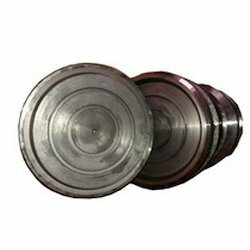 Pioneers in the industry, we offer dona die, plate die and thali die from India. We are noted organization actively engaged in offering excellent range of Dona Die. Demanded for its outstanding production capacity, this machine is widely used for producing the best quality dona. These dona dies are manufactured by our high end production unit with the guarantee of quality standards as per the industry norms and accurate parameters. Offered dies are accessible in numerous & shapes as per the needs of customers. With the support of experienced professionals, we are able to offer superior quality Plate Die that is demanded for its hassle free performance with easy installation features. Our team of experienced professionals has fabricated these plate dies in accordance with the industry laid standards. To guarantee that our range will deliver uninterrupted performance for elevating overall output, each product is stringently examined before being dispatched. We have emerged as the foremost organization engaged in offering a wide assortment of Thali Die that is properly tested on several guidelines by our quality controller to provide defect free range. This die is manufactured with premium quality raw material and latest technology, this die is designed with high precision in order to fulfill the international standards. 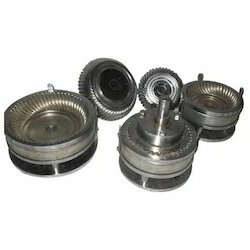 We offer these dies to our clients in different specifications as per their exact needs.